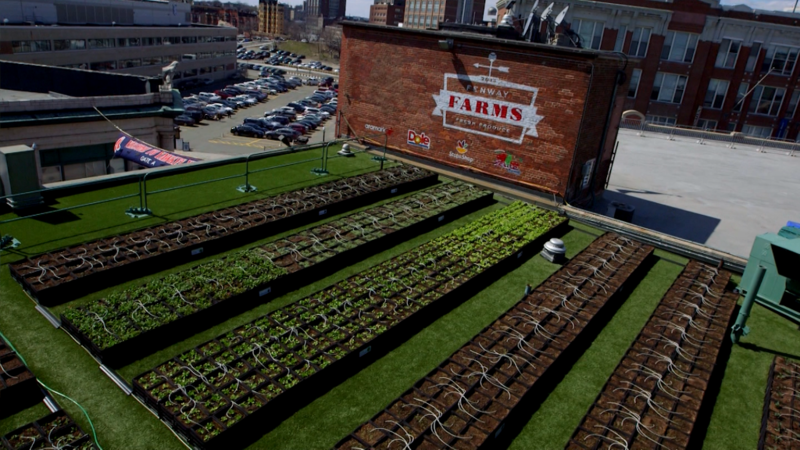 JetBlue wants to bring farm to table. Tray table that is. The airline announced Thursday that it would be opening a blue potato farm and a garden at New York City's John F. Kennedy airport. The "T5 Farm" will be located outdoors at JetBlue's Terminal 5. It will be roughly 24,000 square feet and will have 3,000 crates of potato plants. About 2,000 different herbs, plants and other types of produce, like beets and arugula, will also be grown on the farm. All of the plants were specifically selected because they won't attract birds and other wildlife to the terminal. JetBlue said it plans to produce over 1,000 pounds of blue potatoes with each crop. The farm is being opened in collaboration with GrowNYC, the Port Authority of New York and New Jersey and the brand behind the airline's signature chip, Terra Blues. JetBlue gave out over 5.7 million bags of Terra Blues in 2014 and hopes the farm will increase its "farm-to-air" innovation goals, the company said in a statement. 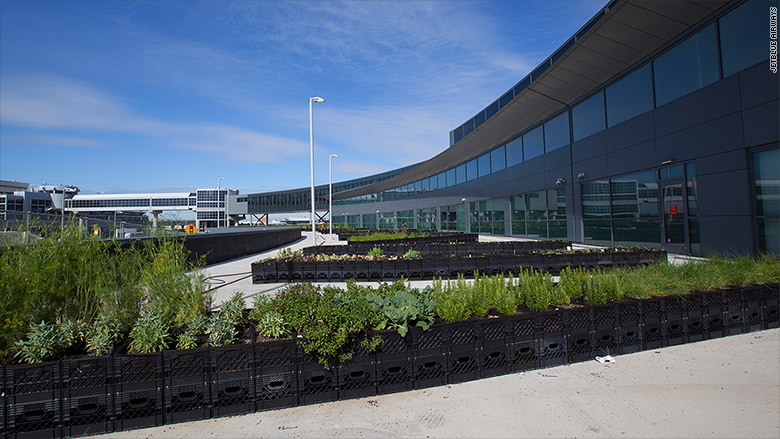 "An airport seems like an unexpected place for a farming experiment, but what better way to explore JetBlue's role in the food cycle than to harvest right in our own back yard at JFK," said Sophia Mendelsohn, head of sustainability at JetBlue. "Our customers expect T5 to offer them unique experiences." The airline also routinely sends leftovers from the restaurants in T5 to be composted at a New York farm and some of the enriched soil will eventually be used on the T5 farm at the airport. JetBlue has worked with GrowNYC since 2012; it offers a temporary Greenmarket in its terminal and regularly sells GrowNYC products at a T5 store. While the farm is the first of its kind, the push to use airport land for sustainable purposes isn't new. Airports such as Chicago's O'Hare and Montréal's Mirabel International Airport have installed beehives as a means to be more green.